Boeing aircraft have won the loyalty of millions of people around the world -- and the popular "If it's not Boeing..." slogan is a grassroots expression of that loyalty. Wear your pride in comfort with this stylish T-shirt.This retro-style T-shirt features a slim fit; double-needle top-stitched rib-knit collar; twill-taped neck and shoulder seams; double-needle-hemmed sleeves and bottom. 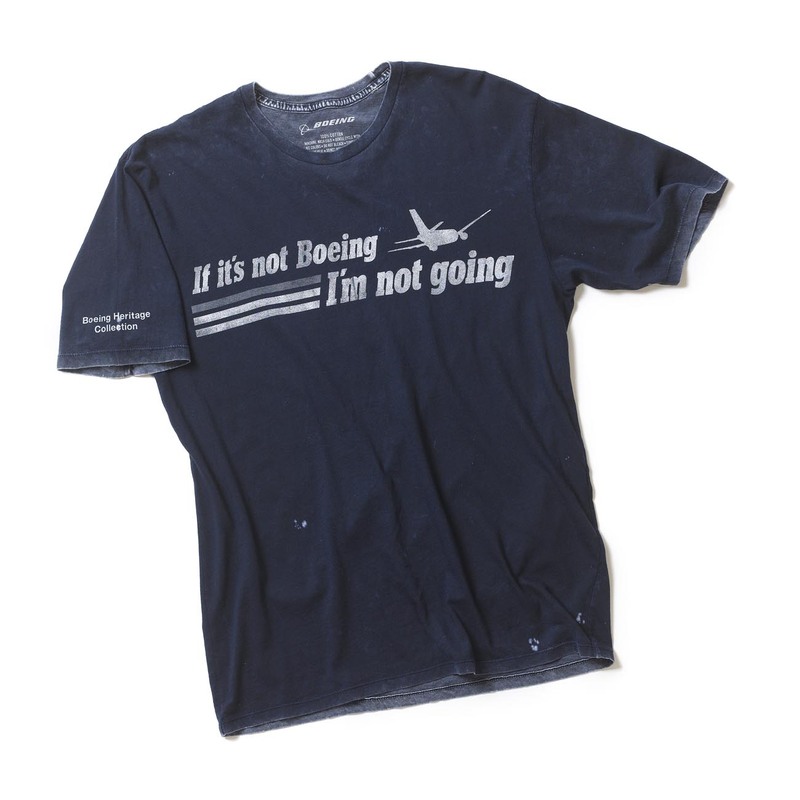 Front of shirt says "If it's not Boeing I'm not going." 100% preshrunk cotton; mineral-wash for an ultra-soft hand. Made in U.S.A.